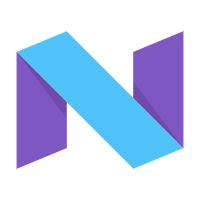 Google has started rolling out Android 7.1.2 Nougat Public Beta to eligible devices including Pixel and Pixel XL, Nexus 5X, Nexus Player, and Pixel C devices. update for Nexus 6P that we expect to release soon. try the public beta for Android 7.1.2, through the Android Beta Program. your device will get the public beta update in the next few days and no action is needed on your part. If your device isn't enrolled, it only takes a moment to visit android.com/beta and opt-in your eligible Android phone or tablet -- you'll soon receive the public beta update over-the-air. As always, you can also download and flash this update manually. Google is expecting to launch the final release of the Android 7.1.2 in just a couple of months, Like the beta, it will be available for for Pixel, Pixel XL, Nexus 5X, Nexus 6P, Nexus Player, and Pixel C devices.